Esports matches are complex and form an excellent testing ground for predictive algorithms focused on finding future winners. A core challenge in esports is making matches comprehensible to broadcasters and the audience: esports games are complex, variable and fast paced. In esports, the tactics and balance change much faster than in traditional sports. The combination of the growth of esports and the availability of detailed data from virtually every single match played has introduced the field of esports analytics. 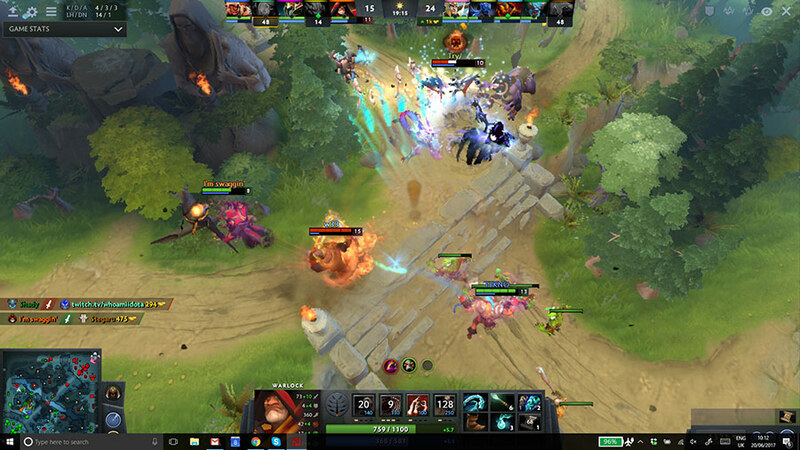 To aid the comprehensibility of games, esports analytics allows spectators, players, broadcasters, coaches and game developers to access and analyse data, providing information in a manner similar to traditional sports statistics. Examining tactics and balance, predicting player behaviour and match outcomes, and providing metrics that transform the complex behavioural data from esports into understandable information is a major part of analytics. Within esports Analytics, predicting the winners of matches has formed the focal point, due to the direct interest in match prediction among the industry, broadcasters and audience. In particular, the ability to predict professional games has the highest potential for impact due to the number of viewers and high financial stakes of competitive play. However, there is a comparatively limited supply of data from professional games. Hence, a key question is whether datasets comprising data from a range of ranks can be used to predict winners in professional matches. This permits a much larger dataset for analysis. We have shown that, although there is a slightly reduced accuracy, mixed-rank datasets can be used to predict professional matches using machine learning methods. We have also demonstrated that the prediction methods used need to be highly optimised as win prediction accuracy varies widely across different configurations of the machine learning methods. We plan to apply these methods to digital games more broadly where real-time prediction of game outcome can be used to manipulate game difficulty and maximise player engagement. In time, as similar high-frequency detailed datasets become available from the Internet of Things, we can begin to explore the application of live prediction to human behavioural data in the real world. 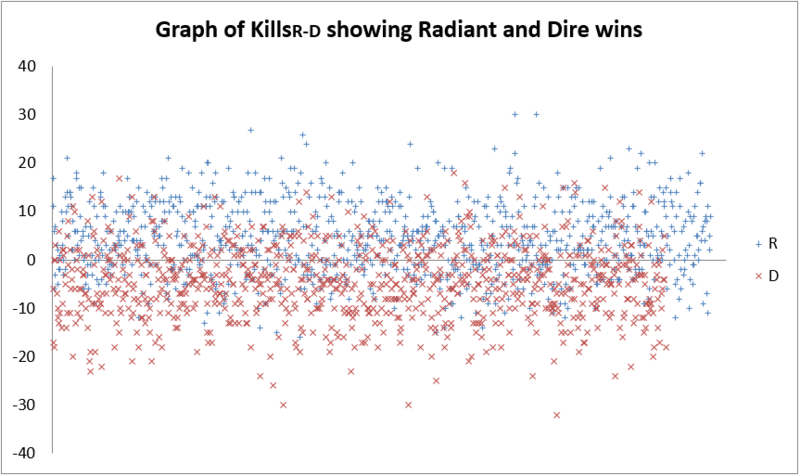 Chart showing a typical data analysis of esports data. There are two teams: a win for team D is shown in red and a win for team R is shown in blue. Machine learning aims to model the data and use this model to separate the two teams’ data so we can predict which team will win.